Fleece hats made by San. Sewn on a machine along with some hand-stitching, hats are made with fleece and lined with flannel. The tiger print is a faux fur. Orders may also be placed for personalized fit. Little frog® welcomes all Little frog® owners to send in pictures. Email me a photo of yourself using your Little frog® hat or hooded towel! 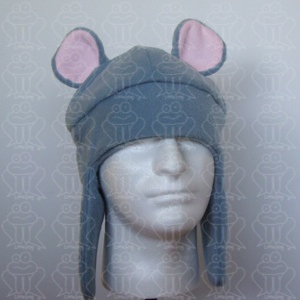 Hats, Hooded towels and other items made by San. Now open, Little frog® Web Store! 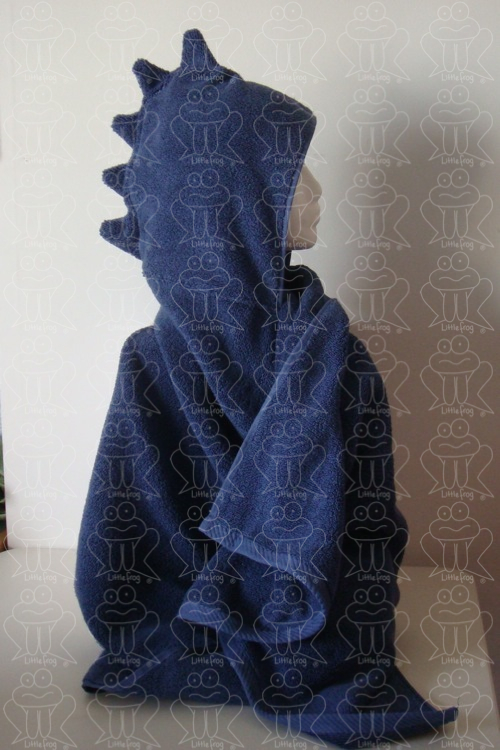 Hooded Towels. Little frog® is excited to introduce fun hooded towels for $25. Towels are ~30"x55" + hood and 100% cotton. These can be for a fun bath time or a hands free towel at the pool or beach. Look for more designs in Little frog®'s web store.